Anderson Vending Services serving the greater Galesburg and Knox County area since 1953. Full entrees, combo meals, ethinic foods, salads and sub shop style sandwiches are the fuel to keep the engine humming. With the tightest temperature control in the industry, you can rest assured that products will be at their best. Have more than one shift? The Shopper has "Setting Zones" that gives each shift its slice of pie. 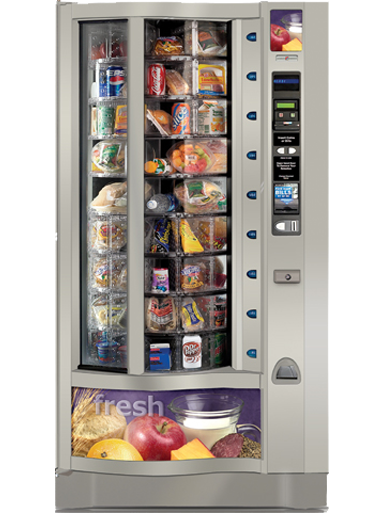 We offer a wide variety of vending equipment to accommodate your needs. On the majority of our machines, we offer a guaranteed delivery system. This uses a laser-optic eye to detect when a selection jams or hangs. We also use MARS coin changers and currency acceptors, and when coupled with the guaranteed delivery system, this ensures that products paid for are delivered to the customer and prevents the frustration of obtaining refunds. 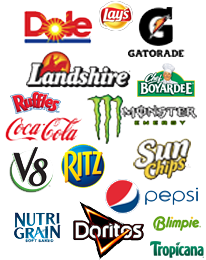 At Anderson Vending Services, we offer a multitude of products to quench your thirsts and satisfy your hungers. 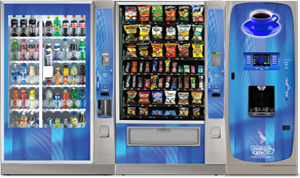 Depending upon the type of vending equipment your location has, we can include beverage products, snack products, cold food products, and more in your product selection.